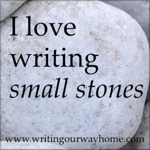 Well, I have been back now for just over a week and am still not fully back in writing mode! I have been away for two months and have had a blissful break away from all things computer – well not quite all. I took my computer with me as well as plenty of notebooks and pens but I confess I wrote nothing, apart from my diary and a few postcards! I also took watercolour paints and painting pads but again didn’t touch them. The time wasn’t entirely computer free, as I say I had it with me and I did look in occasionally to check emails and visit Facebook as I dreaded returning home to find hundreds of emails and notifications in my inbox. Checking emails beside the pool – bliss! Not that I have been idle. We took our tandem with us and managed to go out for a ride most days. No heroic distances; I think the longest ride we did was about 26 miles and some as few as 5 or 6, but it was out in the fresh air enjoying the scenery. We rode along sea-fronts, around towns and villages and along ‘Via Verde’ paths (greenways, disused railway lines). We visited friends and relatives and had fun trying to communicate beyond the language barriers. I speak a little of both French and Spanish and one memorable conversation was with a Frenchman who spoke little English. I was trying to talk to him in French when I came up with a Spanish word by mistake (brain just thinks ‘foreign’!) and apologised. It turned out he also spoke a little Spanish so we had an interesting conversation in three languages, inserting the words we couldn’t remember in one language for those of another and completely understood each other! 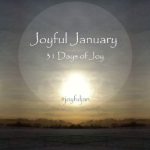 Since my return home I have been running around in small circles trying to catch up with myself – garden to tidy, washing to do, magazine to edit and Christmas just around the corner. It took a few days to get around to downloading all my photos but here’s one I just have to share with you. 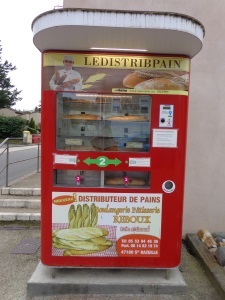 I have never seen anything like this before – a bread-dispensing machine in France. You could buy either a one euro or a two euro loaf. We bought a one euro loaf from it and I have to say it was really delicious and fresh, as if the machine had only been filled that day. I just had to take a photo. It was a Sunday, shops are shut in France on Sundays and we really needed some bread so it was wonderful to come across this machine a short way away from the motorhome ‘Aires’ where we had parked up. The weather was mostly warm and sunny, except driving back through France when it gradually became colder with some frosty mornings as well as rain, and we were thankful that we had taken winter woollies with us. We are still adjusting to the cold back home, but it is good to be back! If you were told that one small change to your life-style/diet could improve your health and possible even save your life would you make that change? I ask the question because, though I may be wrong, I suspect that many people, once they know what that change is, would say ‘let me think about it’ and then do nothing! 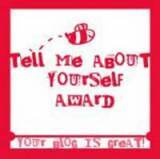 Certainly you would want to know before you commit. If it was say, simply to stop eating lettuce then possibly, no problem. It is undeniable that there has been an increase over the last 50+ years in the incidence of obesity, high blood-pressure, diabetes, arthritis, heart disease, stomach problems, cancer and many other complaints, yet it seems that one small change to diet might just, if not cure then at least relive many of these issues. So what is that change? Wheat. Simply eliminate wheat from your diet. A book recently caught my eye in my local charity shop and attracted my interest so I bought it – I doubt I would have bought it at full price. The book is by William Davis, MD and is called ‘Wheat Belly’. I started reading it at once and found it considerably more interesting than I had expected. All his claims are backed up by references to scientific papers and research projects. Much of the information is now freely available but as yet it has not filtered through into the common consciousness. The point that he makes is that although wheat has been the staple diet of western society for centuries, causing no problems, during the last 50+ years it has changed, due to hybridisation and GM into something that bears very little resemblance to the early types of wheat that mankind ate, and those changes are harmful to mankind. Coupled with this has been dietary advice to eat more whole grains (wheat) and it is during these recent years that the incidence of all the diseases of modern life have ballooned. People have got more obese, diabetes and all the other ailments are more prevalent and there is also an increase in obesity in children on a scale never seen before. Now I’m not obese, probably you wouldn’t even describe me as fat but I can pinch more than an inch of spare flesh around my middle – not healthy! Also I have been troubled with what would probably, if I went to the doctor, be diagnosed as ‘IBS’ for as long as I can remember, certainly since childhood. I haven’t let it interfere with my life, I just ignore it and suffer in silence. Apart from that I am physically fit and healthy, I do not suffer from high-blood pressure, as far as I am aware I do not have diabetes or any heart problems nor do I have arthritis, although as I am getting older I do have more aches and pains which no doubt will develop into arthritis if I am not careful. I am not on any prescribed medication. However, I have been sufficiently impressed by what I have read to give it a go. It’s not a topic that normally fills me with enthusiasm (I eat to live not live to eat!) but I’m going to have to get rather more interested in food as I learn to cook and eat without wheat. The advice is to make a clean break and chuck out all the wheat-containing products is your kitchen. I can’t bring myself to waste stuff like that so I will phase it out gradually. Meanwhile I have been researching recipes for meals without wheat and there is plenty out there, including alternatives to cake and bread (note: ‘Gluten-Free’ from your supermarket is not advised as it contains all sorts of other undesirables, but can be used now and again. Also note ‘wheat-free’ and ‘gluten-free’ are not the same thing, although of course there are overlaps). If you are interested I suggest you read the book and/or others on the same topic that are also available. There is also plenty of information on the internet. Take a look at http://www.wheat-free.org and www.elanaspantry.com for starters, both contain some delicious-looking recipes I am going to experiment with over the coming weeks, including wheat-free alternatives to popular favourites. I will keep you informed of progress and will be more than pleased if I lose that spare flesh and improve my temperamental tummy. Incidentally, I met a friend a couple of days ago whose weight has ballooned in recent months for no apparent reason (he has some other health issues too). His doctor had no advice to help and has since retired. What has his new younger doctor advised? – cut out wheat! My menfolk actually like it!